You are here: Home / Cebu Pacific / CEBU PACIFIC AIR: 799 BASE FARE ONLY TO ANY INTERNATIONAL FLIGHTS! 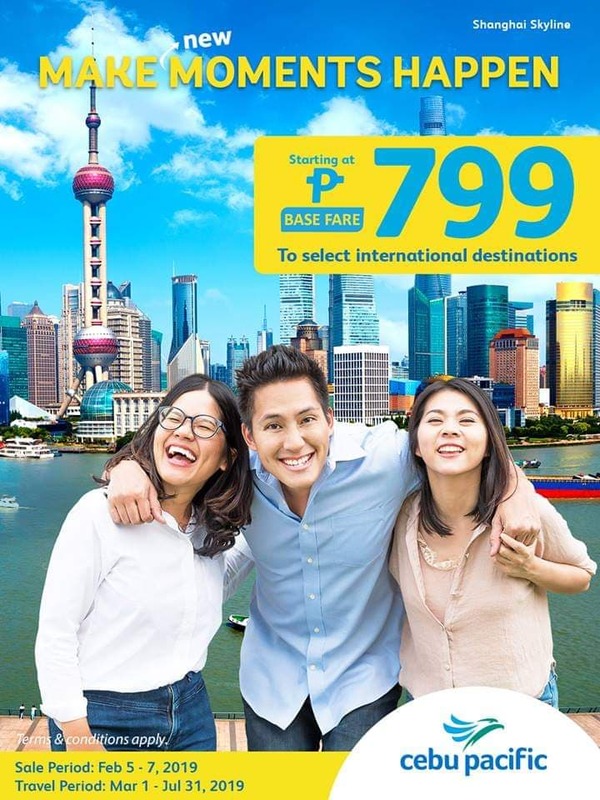 CEBU PACIFIC AIR: 799 BASE FARE ONLY TO ANY INTERNATIONAL FLIGHTS! Gong Xi Fa Cai, travellers! Cebu Pacific Air is having low fares for us to book and enjoy our summer vacation! Tick one of your travel bucket list and book now with Cebu Pacific Air! For as low as 799 base fare only, you can fly to any select international destinations.